See the beautiful landscape from a different point of view. 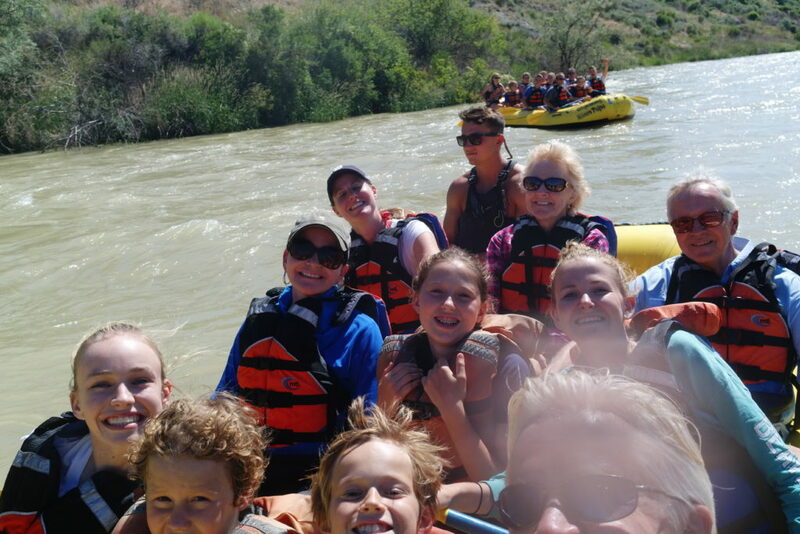 You’ll have seen it by horse and you’ll have seen it by van — why not see it from inside a raft in the Shoshone river canyon? A trip for all ages. 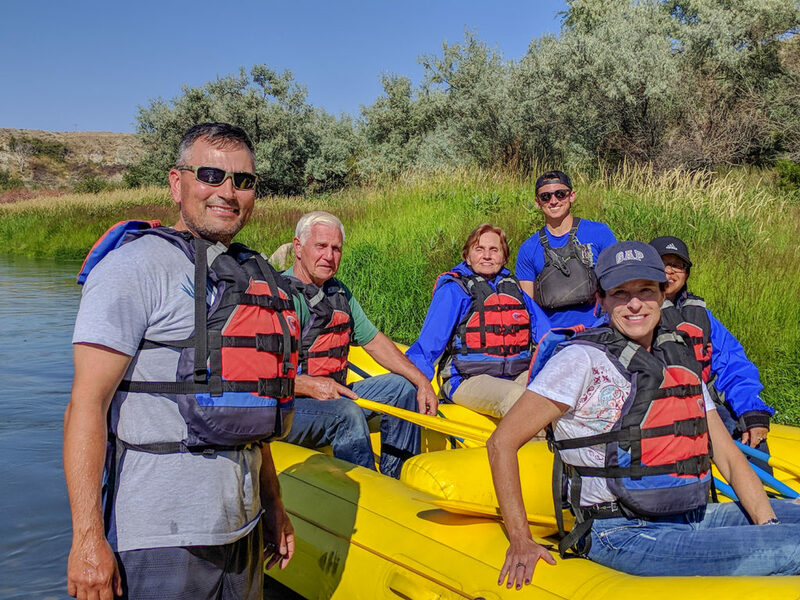 For one afternoon, we take you into Cody to let the experienced guides of Wyoming River Trips navigate you down the Shoshone River. It’s an afternoon trip chock-full of wildlife sightings, excitement, and neat history about the area and rock formations. Concerned that the whole family can’t make it? Not to worry. Our youngest guests to our oldest guests have gone on the trip and had the time of their life. It is important to know that the trip does change throughout the summer. The Shoshone River is fed naturally by mountain run-off. 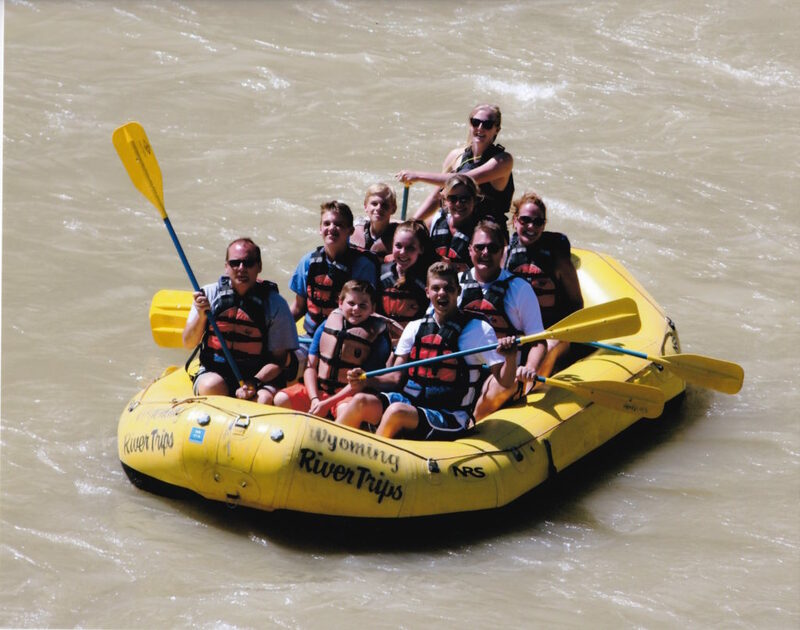 In the early summer weeks, the current runs much faster from the snow melt that is feeding the river, whereas the later weeks are a calmer and smoother pace. Wyoming River Trips provides waterproof tops and neoprene booties for you to wear.